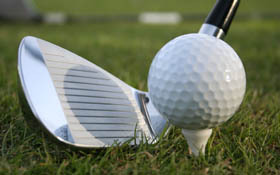 Lodging in Jacksonville, NC allows you to be close to everything in the area. Jacksonville, NC is located in the center of Onslow County, NC and is home to 30 miles of gorgeous beaches. The two most popular beaches are Emerald Isle and Topsail Beach. 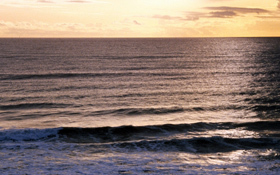 Both are just a quick 20-30 miles from our lodging and offer sandy beaches and warm water. We are certain you'll enjoy soaking up the sun while splashing in the Atlantic Ocean. We also have the largest Marine force in the world. Marine Corps Base Camp Lejeune and the Marine Corps Air Station New River cover over 150,000 acres in Jacksonville. Between the excitement of our Marine bases and our Southern hospitality, you will find lodging in Jacksonville, NC an amazing experience. Reserve a Room Now. A few of our main sites and attractions are listed below for your convenience in planning your trip to the Best Rest Inn. Camp Lejeune - This Marine Corps training facility was built in 1941 and is the home to more than 47,000 marines and soldiers from around the world. It is the largest Marine Corps amphibious training facility in the United States. Coastal Plains Raceway - The Coastal Plains Raceway is located just 4 miles outside of Jacksonville. It is the home to two tracks: an oval, 4/10th of a mile race track and a 1/4 mile drag way. This is the perfect place to bring your family for a night of fun and exhilarating entertainment. 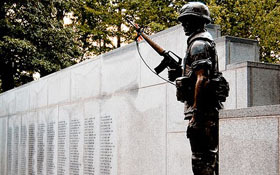 Beirut Memorial - On October 23, 1983, the first Battalion, 8th Marines Headquarters building was bombed in Beirut, Lebanon. 241 marines, sailors, and soldiers were killed in the resulting explosion, the majority of which were stationed here in Jacksonville, North Carolina. This popular memorial built in their honor provides a humbling and serene experience. Lynnwood Park Zoo - Visit the Lynnwood Park Zoo for just $6 and enjoy all their exotic animals including the Arctic Fox. Bring along the whole family for an adventurous day you won't forget. If you have any questions please feel free to contact the Best Rest Inn.